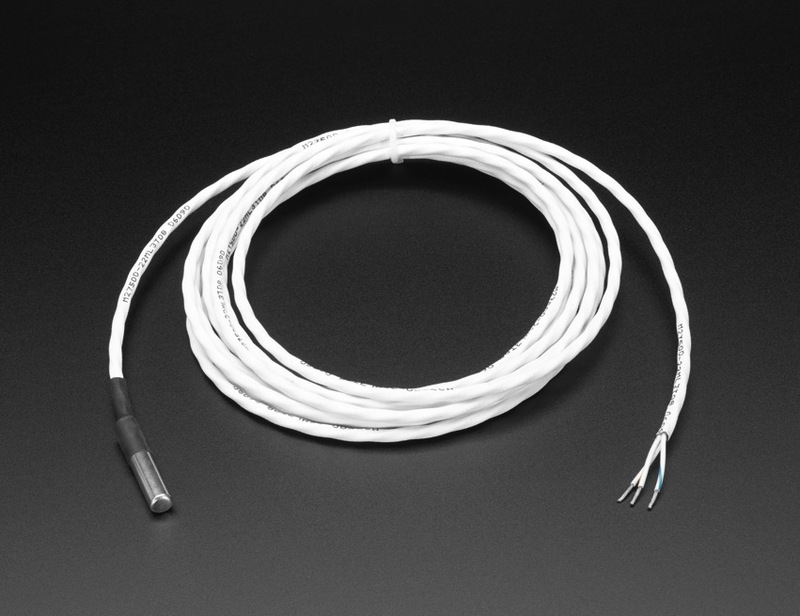 This is a pre-wired and waterproofed version of the DS18B20 sensor made with a PTFE wire cable. Handy for when you need to measure something far away, or in wet conditions. 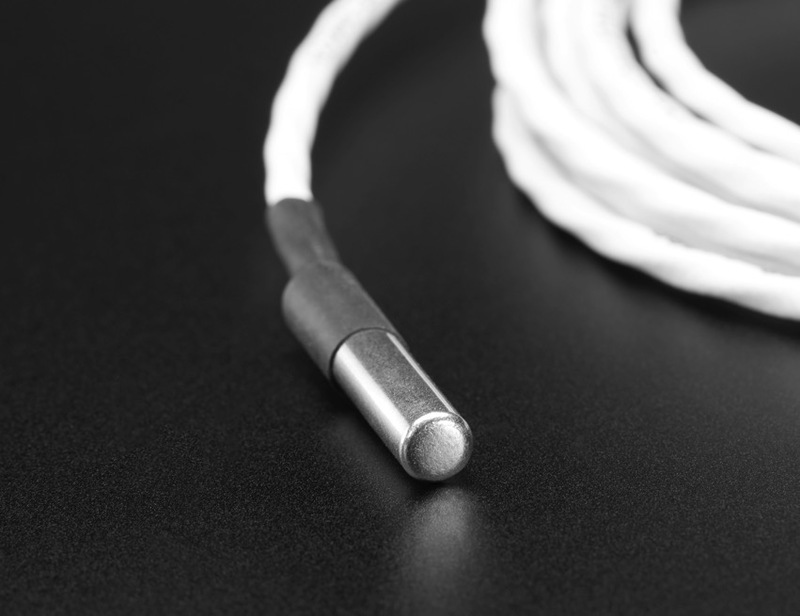 This sensor is a little more expensive than the other waterproof version we have with a PVC cable because this one can be used up to 125°C – the limit of the sensor itself. That said, it’s still not recommended for salt-water or corrosive environments since the stainless steel will eventually rust! Because the sensor signal is digital, you don’t get any signal degradation even over long distances! 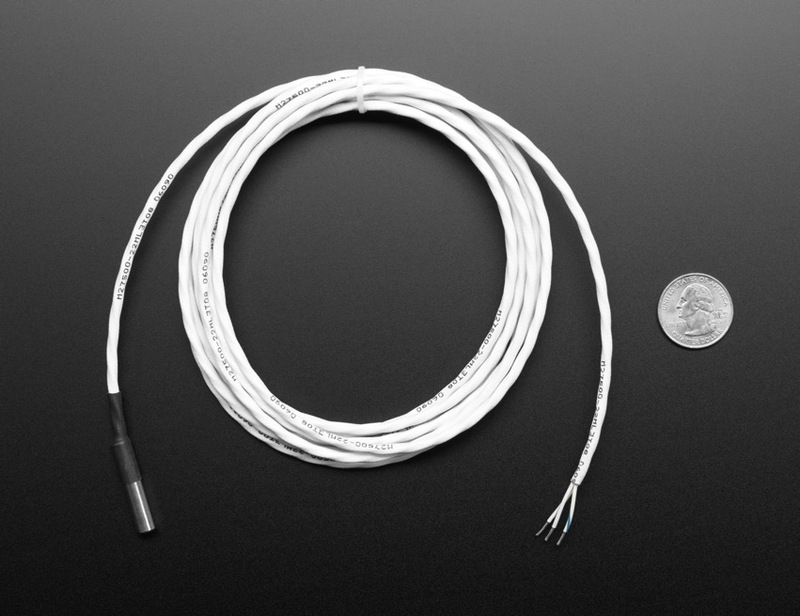 These 1-wire digital temperature sensors are fairly precise (±0.5°C over much of the range) and can give up to 12 bits of precision from the onboard digital-to-analog converter. 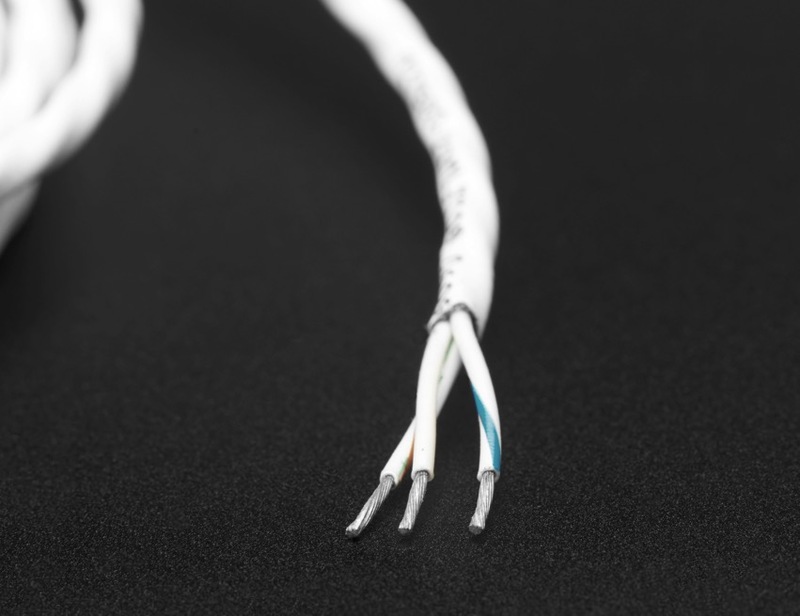 They work great with any microcontroller using a single digital pin, and you can even connect multiple ones to the same pin, each one has a unique 64-bit ID burned in at the factory to differentiate them. Usable with 3.0-5.0V systems. You’ll need a 4.7k resistor which is required as a pullup from the DATA to VCC line when using the sensor. Here’s a CircuitPython/Python guide for these sensors. We don’t have a detailed Arduino tutorial, but you can get started by using the Dallas Temperature Control Arduino library which requires also the OneWire Library.